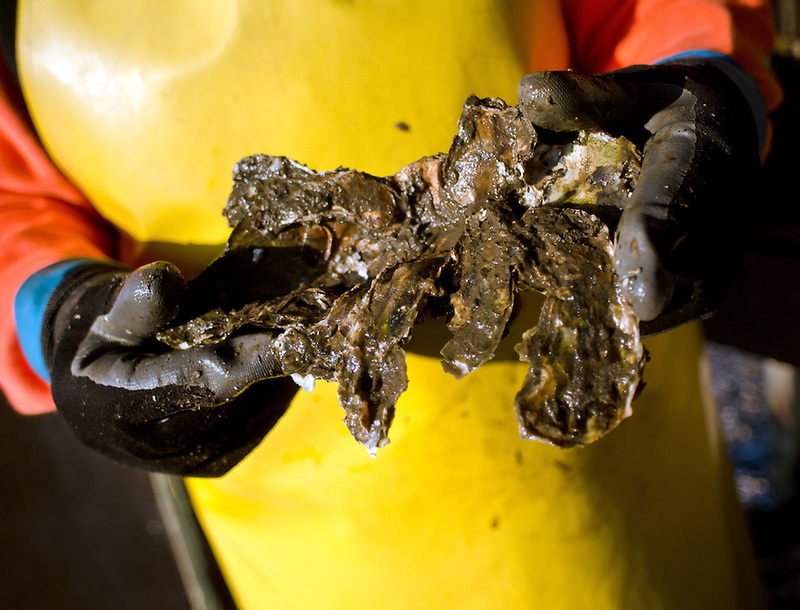 A farm worker holds an oyster shell being used as a substrate to grow newly seeded oysters at the Drakes Bay Oyster Company in Inverness, California on December 13, 2011. The federal contract under which the Drakes Bay Oyster Company operates has recently expired. Now the Department of the Interior must decide whether or not to allow the sustainable oyster farm to continue commercial operations in a federally designated marine wilderness.